Joao Mendes, the 14-year-old son of Ronaldinho, has signed for Cruzeiro after a successful trial with the Brazilian club. In a statement released by the club, it was revealed Mendes concealed who his father was so that he was able earn his place in the club's youth ranks. "Although he was the son of Ronaldinho, Mendes performed a test in the club without the knowledge of kinship," the statement reads. "With his own talent, the young attacker was approved and, only when he was already in the club, was eventually revealed the name of the famous father." Mendes is contracted to Cruzeiro until the day before he turns 20 in 2025. He added that he hoped to one day sign professional terms with the club. "It is a dream that one day I can sign the professional contact with Cruzeiro, play professionally, make a goal in the crowded Mineirao and dedicate to the fans." he said. "He is a player that has a good physical size, a high technical quality," said Amarildo Ribeiro, in charge of the club's grassroots football. 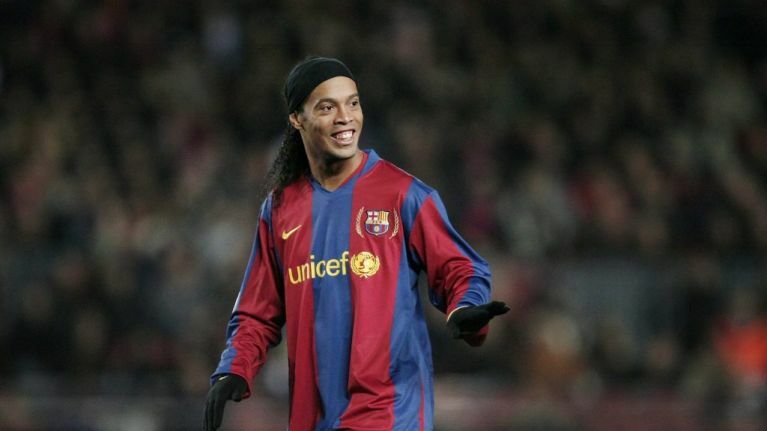 Ronaldinho is regarded as a Brazilian legend and one of the greatest players to ever play the game. He helped his country to World Cup success in 2002, and also enjoyed spells in Europe with Paris Saint-Germain, AC Milan and - most notably - Barcelona, where he won the Champions League in 2006.